Researchers are piecing together the links between the gut microbiome and mental health. Stress, anxiety, and depression are emotions we all feel at some point in our lives, some people to a greater degree than others. Part of the human experience, right? In a recent study, Cryan and his colleagues reported a link between the microbiome and fear. By examining mice with and without gut bacteria, they discovered that the germ-free mice had blunted fear responses (Mol Psychiatr, doi:10.1038/mp.2017.100, 2017). 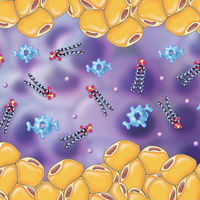 Their findings may pave the way for the development of novel treatments for anxiety-related illnesses, including posttraumatic stress disorder. Researchers at Kyushu University in Japan were the first to show, in 2004, that bacteria in the gut can influence stress responses, prompting many subsequent investigations. Yet despite mounting research, scientists remain uncertain about exactly how the gut microbiome affects the brain. While some bacteria influence the brain through the vagus nerve, other strains seem to use different pathways. 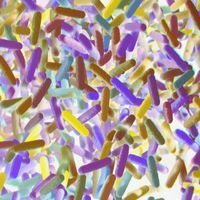 It is known, however, that the population of the gut microbiome begins in early life, and recent research suggests that disruptions to its normal development may influence future physical and mental health (Nat Commun, 6:7735, 2015). 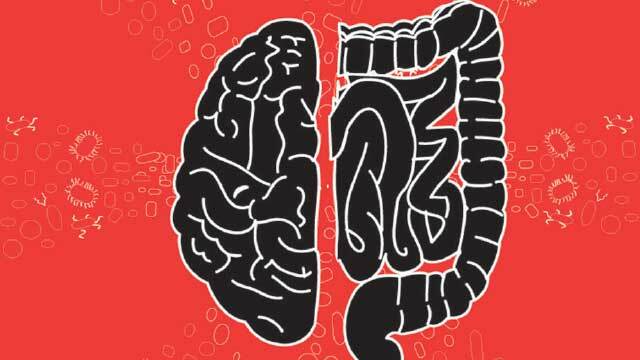 Researchers are finding that this gut-brain connection could have clinical implications, as influencing the gut microbiome through diet may serve to ameliorate some psychiatric disorders. Together with University College Cork colleague Ted Dinan, Cryan coined the term “psychobiotics” in 2013 to describe live organisms that, when ingested, produce health benefits in patients with psychiatric illness. These include foods containing probiotics, live strains of gut-friendly bacteria. 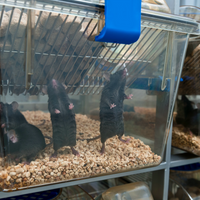 While there are many rodent studies linking probiotics and mental health, UCLA biologist Emeran Mayer and his colleagues were the first to test them in humans, using functional magnetic resonance imaging (fMRI) scans to assess the results. After administering probiotic yogurt to a group of healthy women twice a day for four weeks, the researchers found that the women had a reduced brain response to negative images (Gastroenterology, 144:1394-401, 2013). Having conducted this study on healthy participants, Mayer is reluctant to conclude that probiotics can cure mental illnesses such as anxiety. 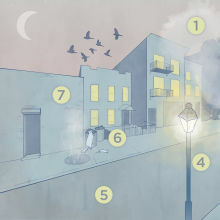 “It’s a complex emotion, not just a reflex behavior like in the mouse,” he says. However, Mayer says he’s very supportive of the potential of prebiotics—fiber-rich foods that promote the growth of beneficial bacteria in the gut. Just as activity in the gut seems to affect the brain, mental stress can lead to intestinal problems. Scientists have demonstrated this in research on irritable bowel syndrome. For example, a study by Mayer and colleagues linked early-life emotional trauma to an increased risk of developing the bowel disorder (Clin Gastroenterol Hepatol, 10:385-90, 2012). 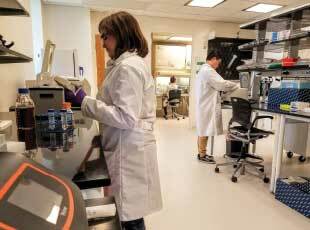 Those spearheading this research are equally aware of the need for more studies, particularly in human subjects, but they are hopeful that change lies ahead. “I’m almost certain that in several years, diet will be considered one branch of therapy for many mental illnesses, alongside medication and psychiatric treatments,” says Mayer.